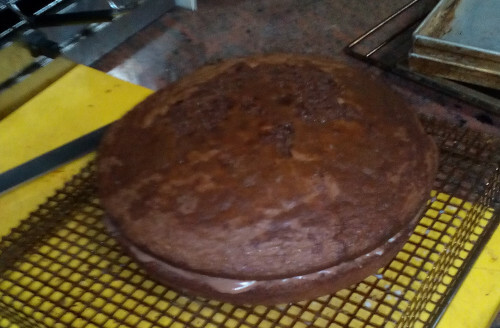 I have baked a nutella cake with my sister. But it ended up being not that nice looking. My sister after that made a cake by herself. Unlike the previous cake, she said that she let the cake cool inside the model and that she did not use the paper, but oil and flour to make sure that the cake would not stick. It is much better looking than my version. So it is something to listen to the next time.